Jenn Young is a freelance writer working with Uncle Bob’s High-End Storage Business. She is passionate about beautifying her home, and she currently writes about anything and everything related to self-storage units. Upscale storage facilities are the latest trend in storage units. However, these plush accommodations are not for that unused desk or those holiday trimmings; these are high dollar digs for the discerning wine collector. The truth is America is a nation of wine drinkers. More so, we’re apparently also a nation of wine hoarders, given the rising popularity with wine storage. Who would use a storage unit for such a service? Consider this. You are an avid wine collector without a basement or the room to adequately store your growing collection. Or perhaps you invest in wines and need a place to store them for future resale. Either way, chances are a storage facility can meet your needs. Properly storing wine can be a bit of a task, so let’s take a deeper look at the process. For wine to reach its full potential, it must be kept in the perfect environment. 55 degrees with 70% humidity is optimum. The higher humidity prevents the cork from drying out. But that’s not all, since cork slowly breathes, high air quality is also a must. As you can see, a comfortable environment for humans is not suitable for wine. So unless your abode contains a state of the art wine cellar your $20,000 bottle of 1886 Chatteaux Latour may not be faring as well as you’d think. This is exactly why a growing number of storage facilities have expanded their services to include safe and secure wine storage for the discerning connoisseur. Individual units vary in size, ranging from units fit for a single case of wine all the way up to commercial sized. Some facilities even allow you to design your own space, going so far as to provide a list of fine carpenters to choose from. Who wouldn’t want custom made wine storage racks? Have a new shipment of wine arriving? No problem. Your storage facility most likely will accept it for you. Need to catalog your collection? They can provide that service as well. Why stop there? How about an exclusive wine tasting room on site? This way, that wine club or tasting group renting with your facility doesn’t have to leave the premises to hold their tasting events. For those prone to worry over their fermented grapes, a growing number of storage facilities now provide a smartphone app that keeps track of the temp and humidity in real time. Some apps even display the temperature and humidity history for each bottle in your collection. Naturally you’re going to be restricted to your immediate area but if you are lucky enough to live near or around some of the storage facilities listed below. Mosey on over, either to their websites or facilities and see what they have to offer! STORE has gotten quite the name for itself over the past few years. Located in Palm Springs Florida, STORE has recently received write-ups in both the Wall Street Journal and a few wine enthusiast blogs and magazines. One look at their facility, and it’s easy to see why. 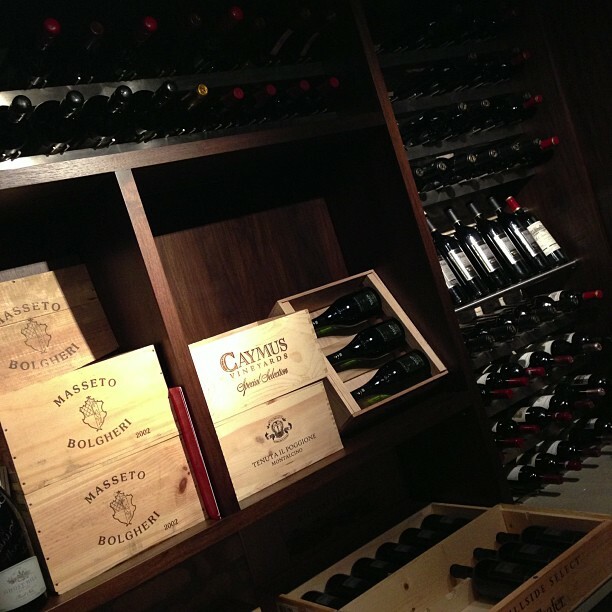 Richly lit hallways, beautifully crafted wood doors and the perfect climate controlled atmosphere for any wine variety. Also, if you have any worries about the safety of the wine you’ve placed there you can rest assured as each customer’s wines are securely placed behind both traditional locks and biometric scans. With prices starting at about $65.00, renting a unit won’t break your bank account either. WineCare Storage of New York City delivers some of the best extras when compared to the rest of its peers who offer similar storage options. While it is not as tech savvy as STORE’s state-of-the-art biometric scanning, the scope of WineCare’s amenities reach much farther. Along with your $40 a month rental fee, WineCare Storage offers a unique delivery service that has any bottle of wine in your storage unit showing up at your doorstep in about three hours or less. Pretty impressive right? The facility also makes use of temperature control and backup generators to make sure that your wine never gets above or below that 55-57 degree sweet spot. Protecting your wine often involves technology rivaling that of your bank. 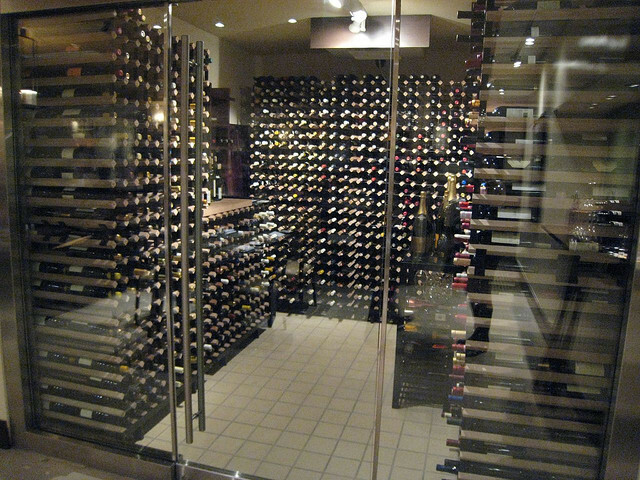 Entrance to a wine ’vault’ frequently requires passing a biometric security check. And you thought that was the stuff of science fiction. You can also expect round the clock state of the art surveillance. The storage environment is constantly monitored to maintain the perfect temperature and humidity. In the event of a power failure, worry not, for a back-up generator will kick in, ensuring your wine keeps safe in any event. So there, you have it, thanks, Jenn. 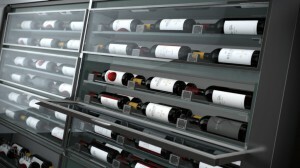 Large or small, any kind of wine storage can affect your wine and your drinking experience in a positive way. PS: If you enjoyed information about Wine Storage, check out Basic Wine Terms and Definitions, Wine and Cheese Pairings and Taking The Mystery Out Of Wine Tasting. Enjoy.